Jalmus is a free, open source music education software helping the musicians, specially pianists, to improve their sight-reading. 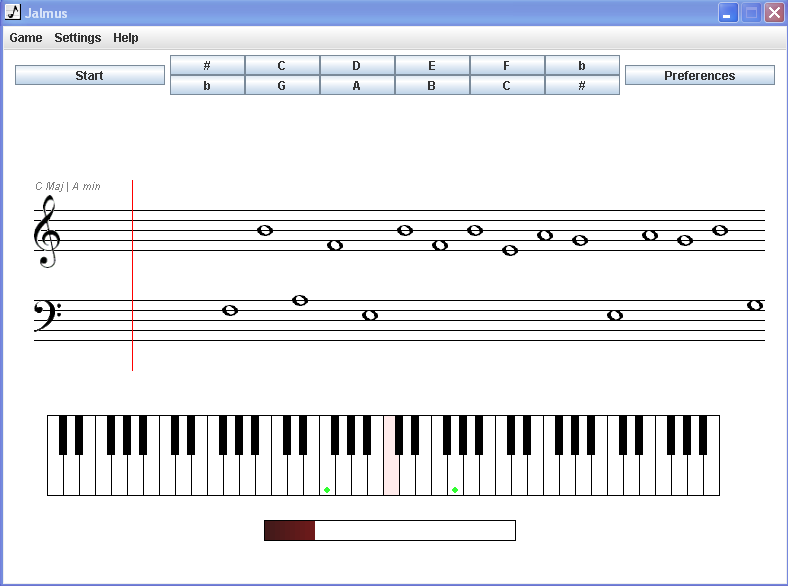 You can train to read music with both exercises on notes or rhythms. Bugfix: turn off keyboard sound. Bugfix : Tempo settings for rhythms reading. Bugfix : "route" keyboard sound to an external midi device to avoid latency when playing notes. You can save all exercises on the Preferences panel. Custom notes with accidentals on Score Reading exercise. New shortcut in lesson’s menu to open lesson’s directory and modify/create/delete directly the XML files (with any text editor).